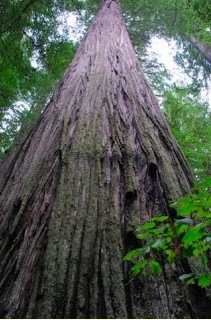 THPBlog: Humboldt Redwood Company to log trees up to 60” dbh adjacent to the Eel River. Humboldt Redwood Company to log trees up to 60” dbh adjacent to the Eel River. This THP is 2 miles east of Weott, CA and Highway 101 near the Eel River at an elevation of 160 to 2,200 feet. Humboldt Redwood Company is planning a tractor, cable and helicopter logging operation on steep and unstable slopes in redwood and Douglas fir forests (helicopter logging is proposed within large stands up to 60” dbh inside unit 1). There are over a 100 landslide terrain sites within the THP area mostly related to streams (inner gorges), roads and crossings including earth flows, rockslides, debris slides, debris slides, disrupted ground, and multiple road related fill failures, cut bank failures and bank sloughing. The THP area flows into the Eel River which is listed as an impaired watershed for sediment/siltation and temperature. Humboldt Redwood Company is planning to use ground based equipment in areas designated for cable logging, and use ground based equipment in unstable areas on existing roads (C40, C40.27, C52, C62, C62.10, C62.1005, C62.2091). They also are planning to construct sections of the the C40.83 road with steep slopes exceeding 65%, and re-construct sections of the C40.27, C62.10, C62.1091 roads with steep slopes exceeding 65%. Logging is proposed adjacent to marbled murrelet stands 500D and 60C, and hauling is proposed through marbled murrelet stands inside Humboldt Redwoods State Park lands. 71 road drainage sites are planned for work including rocking, dip construction, ditch cleaning, culvert repair/replacement and restoration of washed out crossings. Great blue herons and egrets are known to utilize the Eel River adjacent to unit 2, potential bald eagle and osprey habitat exists within unit 1, and there is 12.5 acres of potential willow flycatcher habitat in unit 1 along the Eel River. Ten spotted owl nesting territories are located within 1.3 miles of the THP area.